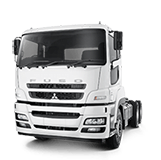 The Melbourne Rebels have added size and versatility to the club courtesy of a major partnership with leading truck and bus brand Fuso. 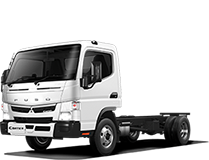 The global brand, who offer a comprehensive range of over 85 truck and bus models, across all three truck market segments: light, medium or heavy duty, will partner with the Rebels and will feature on the upper back of the jersey. 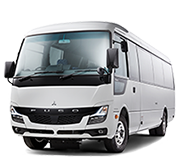 The partnership with Asia’s leading commercial vehicle manufacture furthers the Rebels ties to Japan after the club continued tradition with the signing of Kotaro Matsushima and recently become the first Australian team to launch a Japanese website. 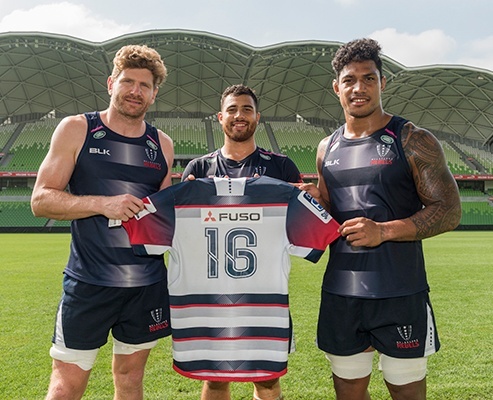 "We’re delighted to welcome a globally recognised and reliable brand like Fuso to the Melbourne Rebels family," Melbourne Rebels Managing Director Andrew Cox said. "The exciting partnership with Fuso will complement the club’s strategic goal of growing the Rebels brand and following internationally, especially into the passionate Japanese Rugby market." 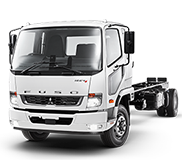 The Fuso Truck and Bus Corporation Director Justin Whitford said the organisation was excited to join the Rebels. "We are delighted to be committing to a long term partnership with the Melbourne Rebels," Whitford said. "It’s an exciting time for both organisations and we looking forward to working closely with the Melbourne Rebels to help deliver the club’s exciting vision and strategy to Australians and abroad." The Rebels will be joined by over 100 members of the Rebel Army who are travelling to Tokyo to witness the Melbourne Rebels become the first Australian or New Zealand Super Rugby team to visit Japan when they take on the Sunwolves in Round Four in Tokyo at Prince Chichibu Memorial Stadium on Saturday 19 March. The Rebels return home in Round Three to take on the Queensland Reds, led by Japanese star Ayumu Goromaru, at Melbourne’s AAMI Park on Saturday 12 March at 7.30pm. Tickets, from $25 for an adult, are available from Ticketek. Rebels players holding the jersey showing the Fuso logo.